Qatar is one of the fastest growing countries in the world. That is why it constantly attracts numerous visitors, expats and most importantly, investors. It is a very significant financial hub in the Middle East; the country is very rich with investment opportunities. The Qatari government is incessantly working on developing the country to keep on encouraging foreign investment in Qatar. And in order to create a successful tournament for the 2022 FIFA World Cup, Qatar is witnessing a constant expansion. One of the finest developments currently being constructed as part of the expansion master plan in Qatar is Lusail. Lusail is a coastal city located in the municipality of Al Daayen about 20 Kilometers away from Doha. Lusail will extend over an area of 38 square kilometers north of Doha. The mega project will comprise four islands and 19 mixed-used districts. Lusail is set to accommodate around 200,000 residents when it is completed. 100% foreign property ownership is allowed in Lusail as it a freehold zone. 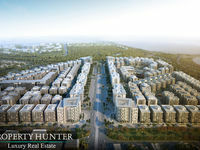 This means that the development offers remarkable investment opportunities. Lusail is renowned for being the future city of Doha. That is one of the reasons why apartments for sale in Lusail are very popular among investors. Lusail will comprise various residential developments, diverse commercial developments, several international hotels and resorts, in addition to leisure facilities and a golf course. Lusail will also comprise the Lusail Stadium, which is set to host the opening and final matches of the 2022 FIFA World Cup. Lusail comprises first rate amenities, great facilities and world class infrastructure. The city also includes wonderful kids’ play areas and lush green landscapes. 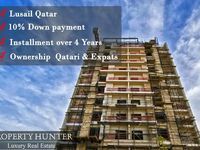 Apartments for sale in Lusail make ideal homes. All apartments for sale in Lusail are smart and sustainable homes. 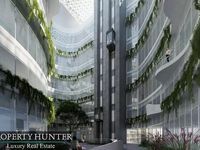 That is because all residential units are built with green and environmentally friendly measures. Furthermore, Lusail is a smart city in which the latest technologies are being utilized. You can find a wide array of apartment for sale in Lusail, ranging from cozy studio apartments, to one-bedroom apartments, two-bedroom apartments, to more spacious three-bedroom apartments and four-bedroom apartments. 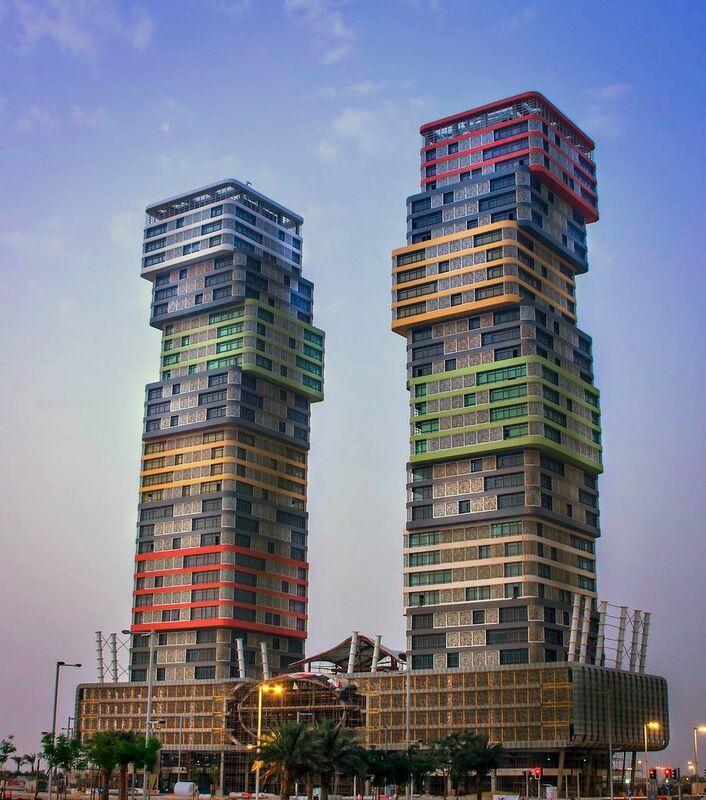 Apartments for sale in Lusail are extremely popular among expats as it is a freehold zone and among Qataris as they make a great home in a new futuristic city in Qatar. 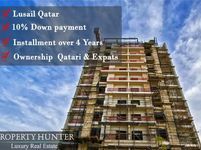 Why choose to buy an apartment in Lusail? Lusail is a mixed-use that will comprise residential developments, community services, entertainment facilities in addition to numerous shopping and dining options. All apartments for sale in Lusail are smart and sustainable homes, built with green environmentally friendly measures. Moreover, 100% foreign property ownership is permitted in Lusail, which makes apartments for sale in Lusail widely sought after among expats. 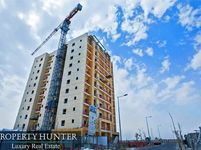 All in all, apartments for sale in Lusail make a great home and a perfect investment.